Recently I was sent a few items from Born Pretty Store to try out. 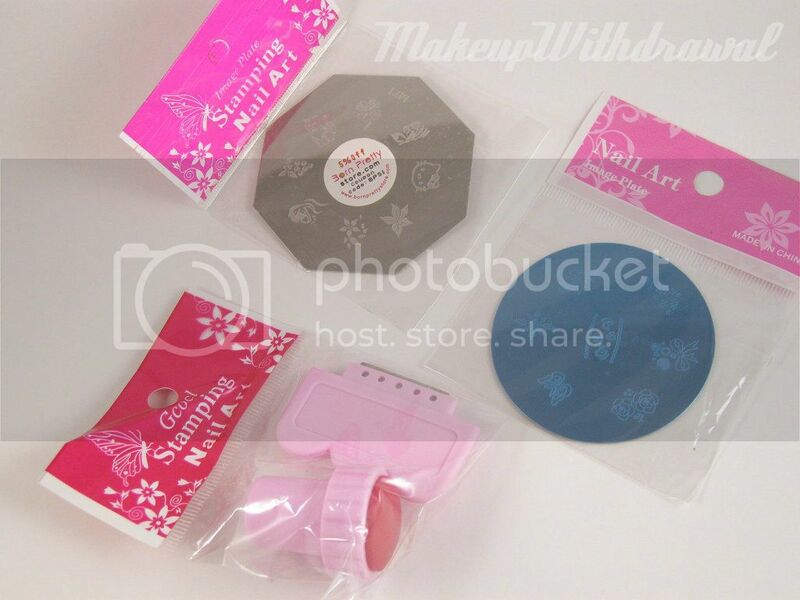 I have purchased from them in the past, they carry SO many different kinds of nail art supplies! You really can't beat their prices, and the free shipping is fantastic. 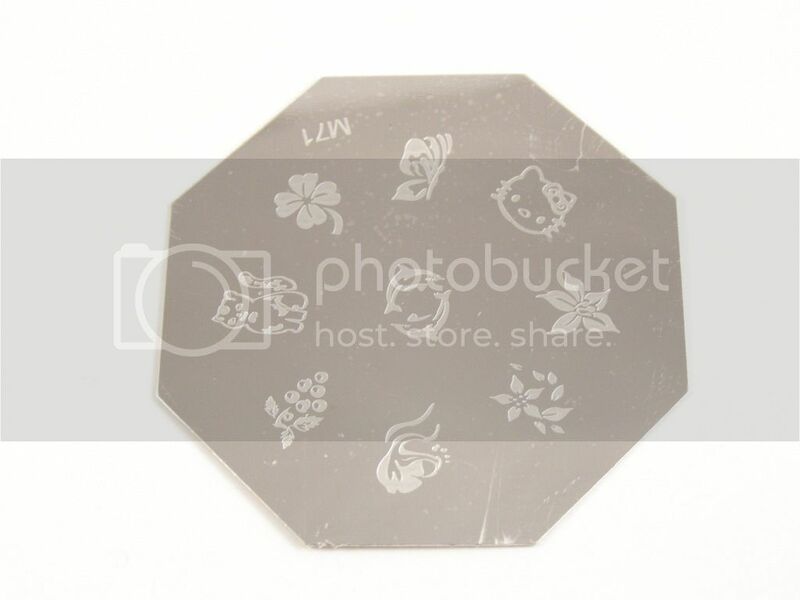 Today, I want to show you some of their stamping supplies. They sent me a stamper and scraper set with two metal plates. One has the infamous Hello Kitty design (click here for the link to the Hello Kitty plate set) while the other round disk has detailed embellishment designs. The stamper and scraper are your standard issue generic-non-Konad tools. Metal scrapers tend to scratch up your plates though, I would be very careful. Meow! 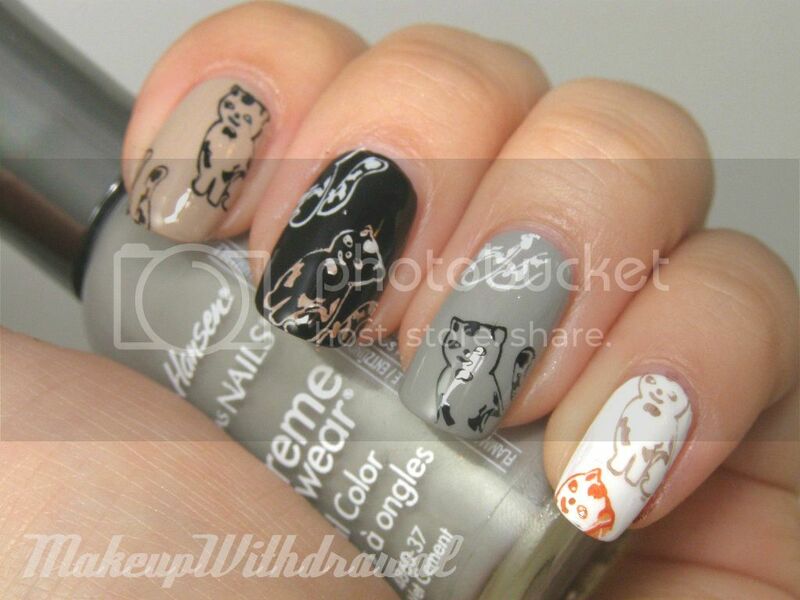 I did a cat lady manicure with the cat from M71. I just really love cats, ok? 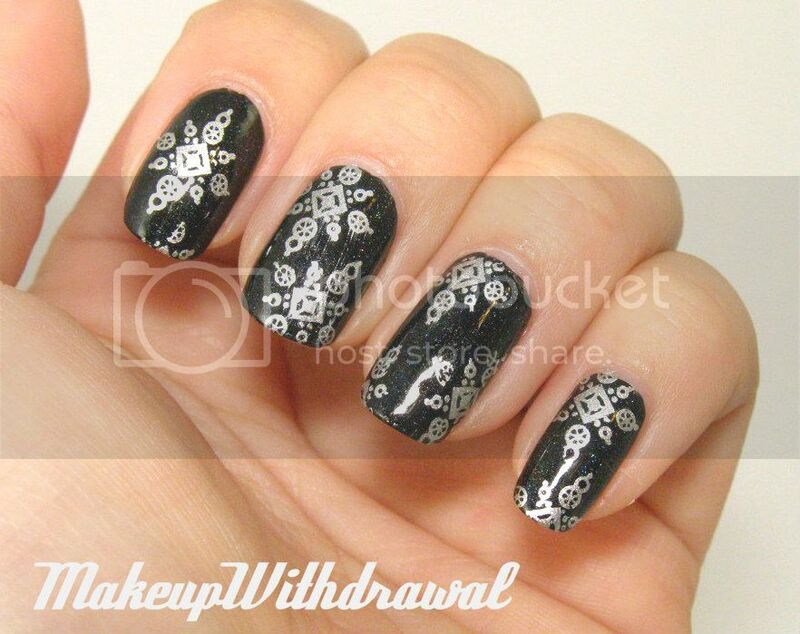 Here's another manicure I did using the round M76 plate. Here, I used Glitter Gal Brain Freeze as the base and Sally Hansen Silver Sweep to stamp. 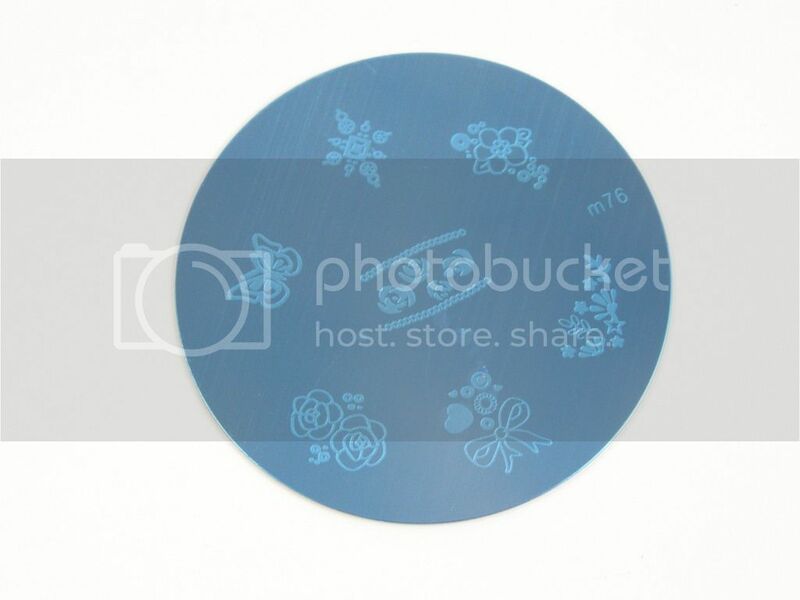 I think that these plates are a great price, compared to other sets out there. The designs are etched deep enough and they transfer. I like being able to chose specifically which plate I want, instead of having to buy a set where I don't even like half the designs. Born Pretty also made a code just for my readers! Neato, right? Use JE5X31 for 5% off your order. I'm not compensated in any way if you use this code. I just figure, hey- a discount is a discount! If you save some dough, that makes me happy. Have you ordered anything from Born Pretty before? What did you get? 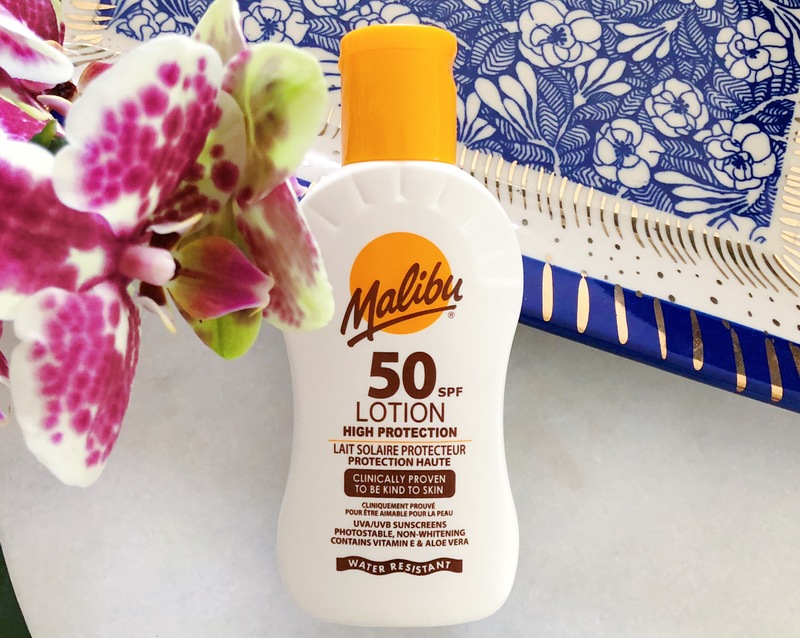 Products featured were sent to me for review. This post contains a code made for my readers, but I am not compensated if you use it to purchase products. For additional information, please refer to my Disclosure Policy.